Home » Faculty » Joseph R. Harris III, M.P.A. 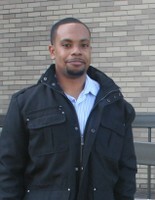 Joseph R. Harris III, M.P.A. Professor Harris received his Bachelor’s of Arts in Economics and Finance, along with a Masters in Public Administration from Rutgers University–Camden. During his time as a Rutgers University student, he worked as an Economic Research Assistant under the supervision of Dr. Tetsuji Yamada. As an Economic Research Assistant his research focused on various Health Economic topics and issues. Also, he was a contracted Business Analyst for the Supervision, Regulation, and Credit Department of the Federal Reserve Bank of Philadelphia. There he analyzed the financial markets / regulatory policy for the Partnership for Progress program, a Federal Reserve System program to help promote and preserve minority-owned depository institutions. After graduating, Professor Harris worked at Rutgers–Camden’s Senator Walter Rand Institute for Public Affairs (WRI) as a Project Assistant. At WRI he conducted economic research that impacted the Southern New Jersey region, such as regional labor market trends. After his time working for WRI began working as an Economist for the U.S. Department of Labor’s Bureau of Labor Statistics (BLS). There he worked under the Injuries, Illnesses, and Fatalities (IIF) program, which provides annual information on the rate and number of work-related injuries, illnesses, and fatal injuries, and how these statistics vary by incident, industry, geography, occupation, and other characteristics. Professor Harris soon transitioned to his current position with the Federal Deposit Insurance Corporation’s (FDIC) Division of Insurance and Research as an Economic Analyst. At the FDIC, he is responsible for analyzing and researching factors that affect financial institutions’ domestic and international deposits. Page last updated by Department of Economics at 9:23 am November 6, 2018 . This page was printed from http://economics.camden.rutgers.edu/faculty/joseph-harris/ at 10:48 PM Thursday, April 25, 2019.